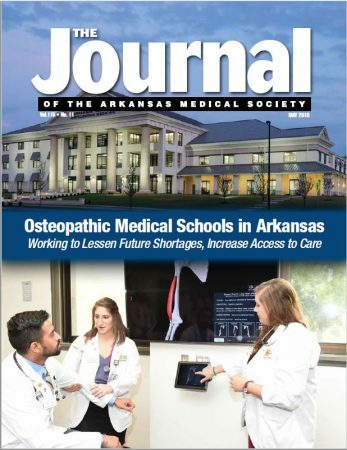 The May edition of the Journal is hitting mailboxes, and in this issue we cover the osteopathic medical schools in Arkansas and their impact on physician shortages and access to care. NYITCOM at A-State in Jonesboro and the Arkansas College of Osteopathic Medicine in Forth Smith both strive to educate future doctors of osteopathic medicine who will serve our state. Also in this issue is a feature on our Doctor of the Day program that just concluded at the Captiol, We also feature the Doctor of the Day program that just concluded at the Capitol. You can check out all of our photos from the legislative session and Doctor of the Day at our photo gallery page. You can check out the latest Journal edition here.